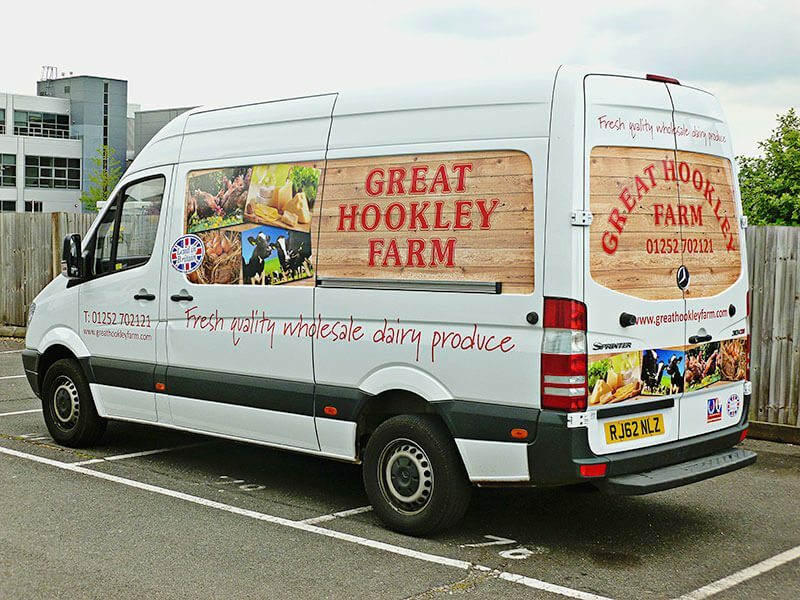 The question should really be – why wouldn’t you implement branding on your vehicles? 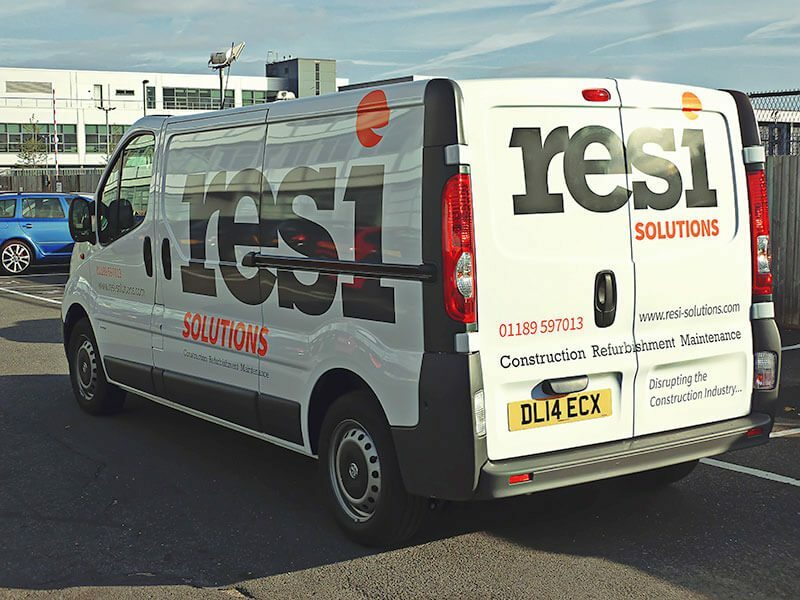 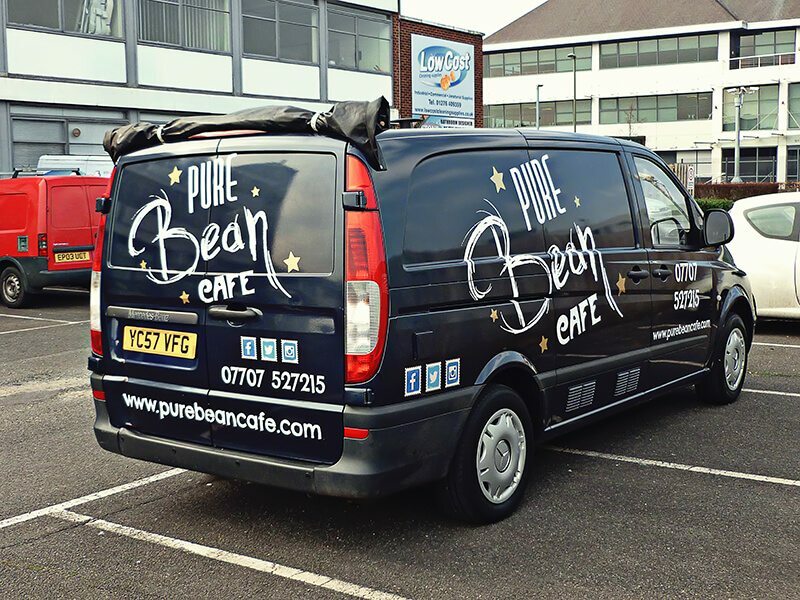 Whether you employ an entire fleet or travel using one single car, van or truck, displaying your brand is a fantastic commercial opportunity that is too good to miss. 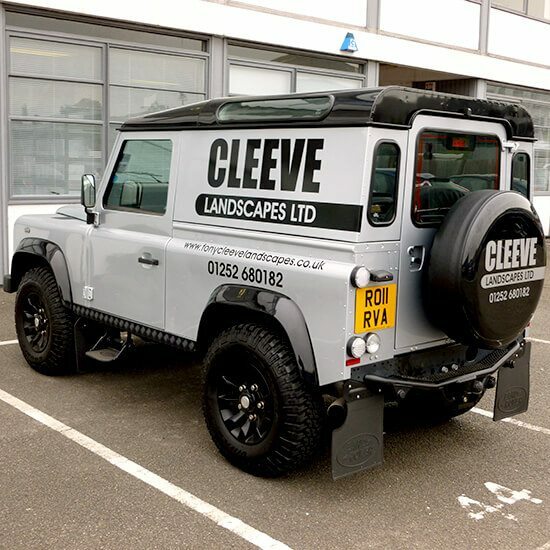 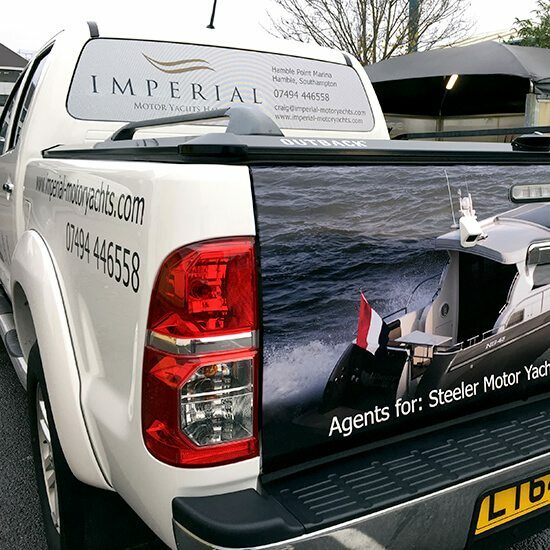 You simply choose your graphic options such as image, gloss, and colour; we will work with you to create a digital design then produce and fit vinyl to achieve the ideal look for your business. 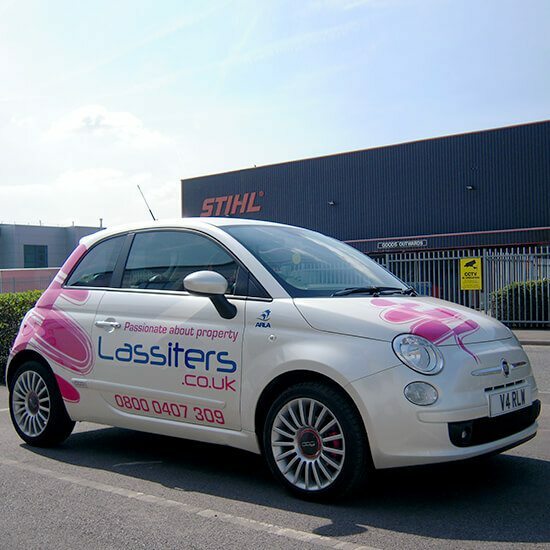 Our specialist studio service uses Gloss Airelease to achieve a quick and flawless finish for your vehicle wrap. 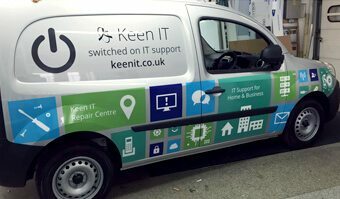 Want to change your vehicle or branding? 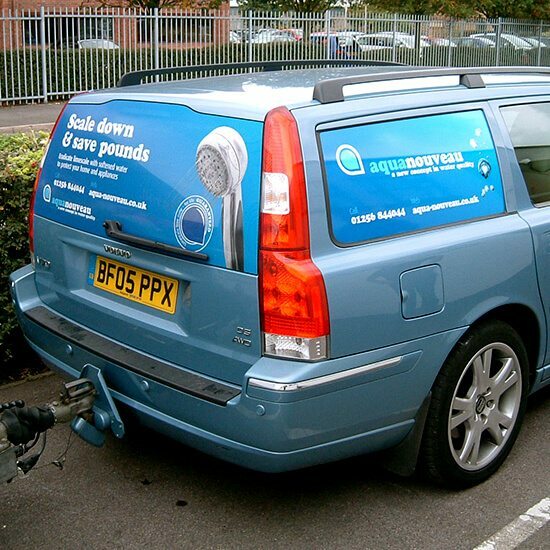 Our product is removable to keep your vehicle up to date. 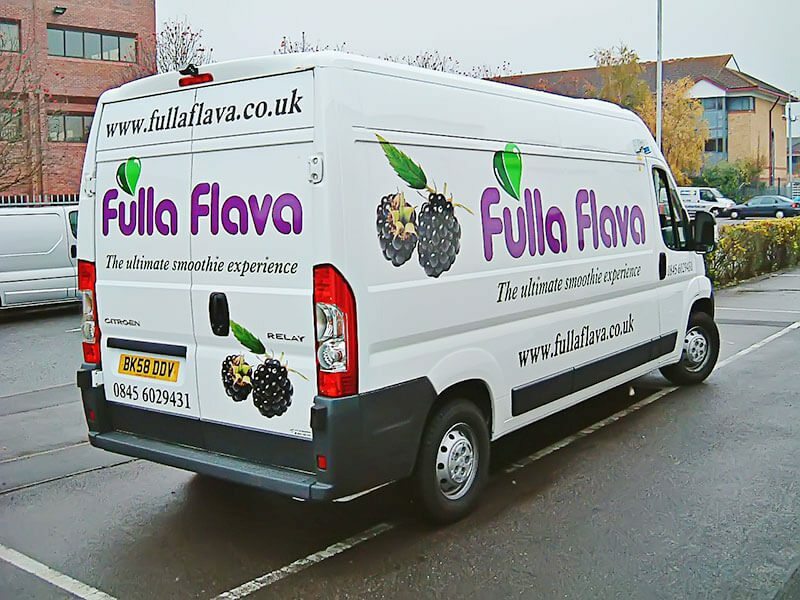 Wraps and graphics are a commercial marketing tool that continues to work for your business every day with no ongoing cost, so really there is no reason not to take this step to achieve professional looking transportation. 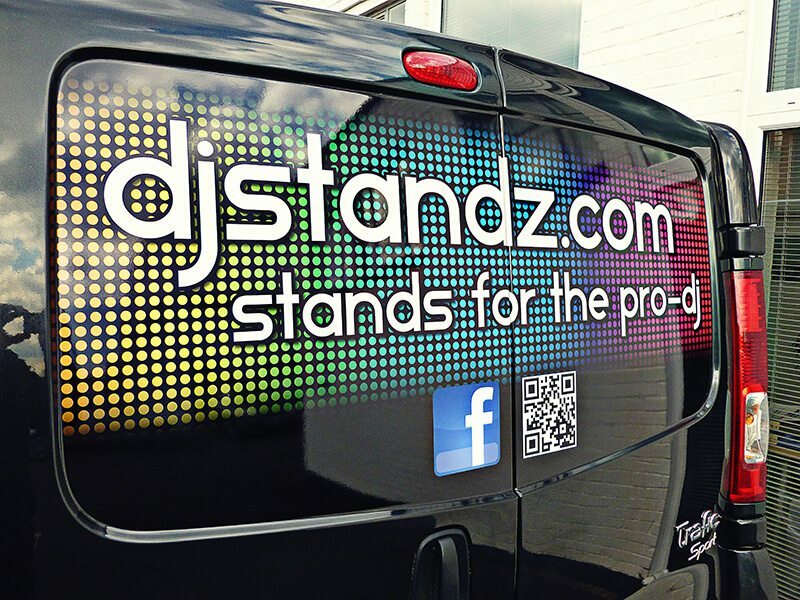 The team at Zoo Signs are creative and surpass expectations time and time again - Attention to detail and understanding of our requirements make Zoo Signs the number one "go to guys" for all our event production projects. 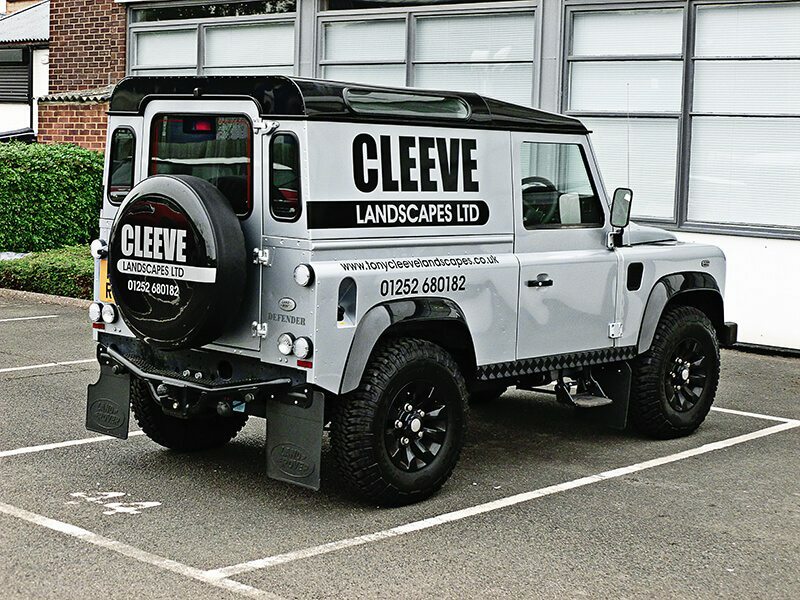 Keeping it nice, clean & simple. 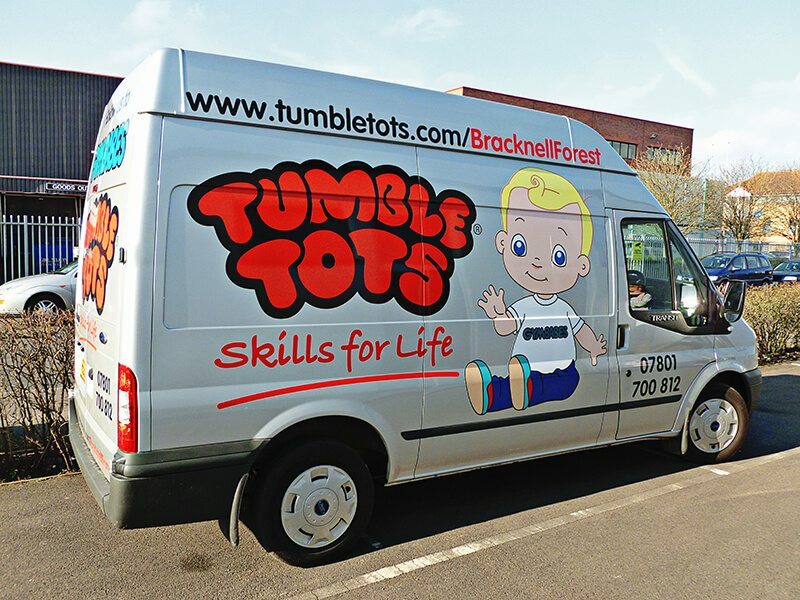 Solid vinyl cut graphics that work best with straightforward designs, text & basic logos. 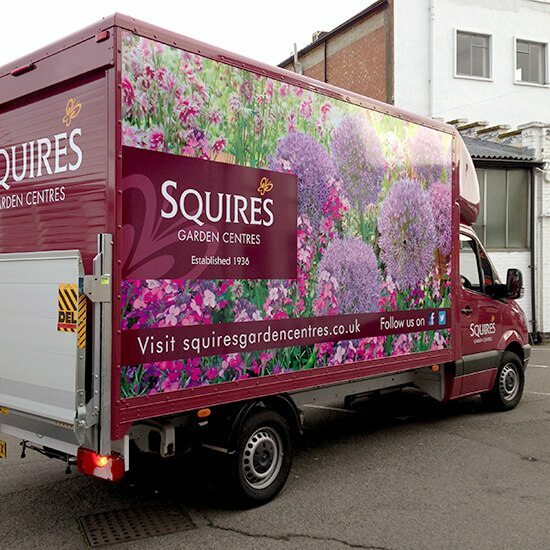 Full colour, digitally printed complex designs for the flat panels of the vehicle. 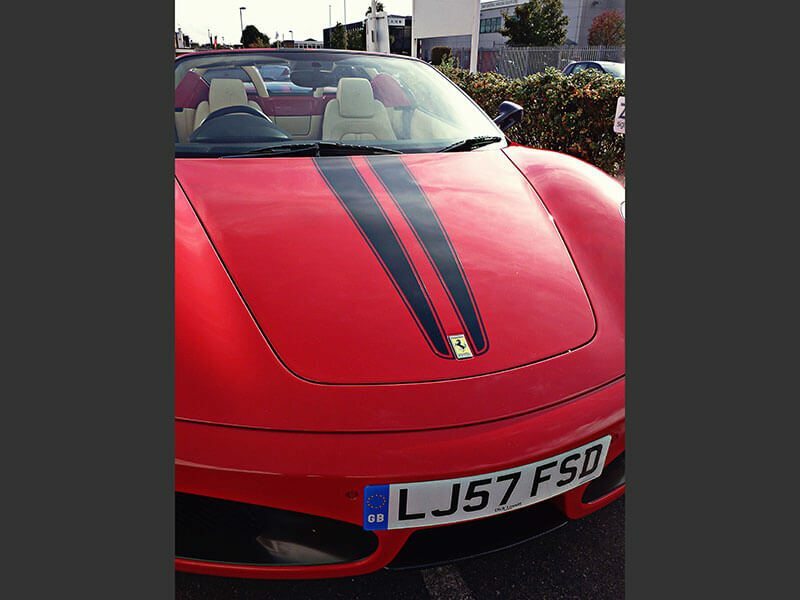 This gives you the ability to include images and graduated colours. 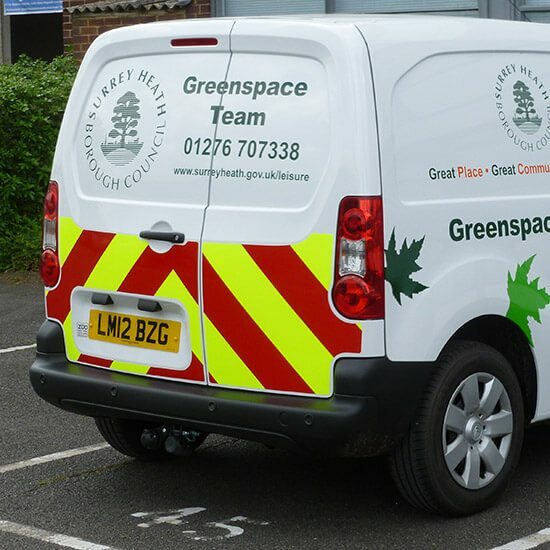 Utilises digital print or solid colour vinyl, and covers only part of the vehicle. 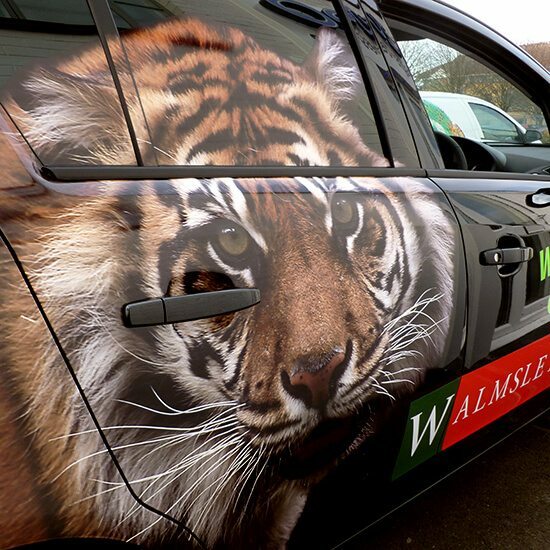 Uses high quality wrapping grade vinyl to smoothly adhere to all contours and recesses. 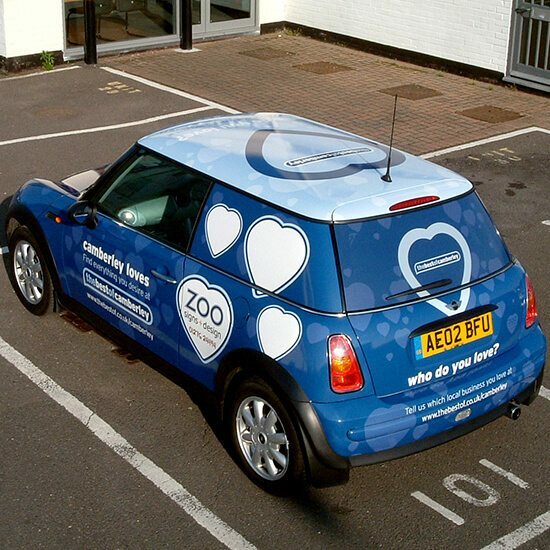 Covers all the exterior painted surfaces using digital print or solid colour vinyl. 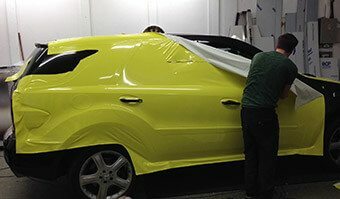 Uses high quality wrapping grade vinyl to smoothly adhere to all contours and recesses. 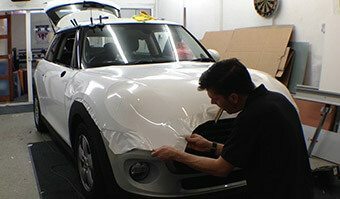 Applied to any vehicle and a great alternative to the traditional respray. 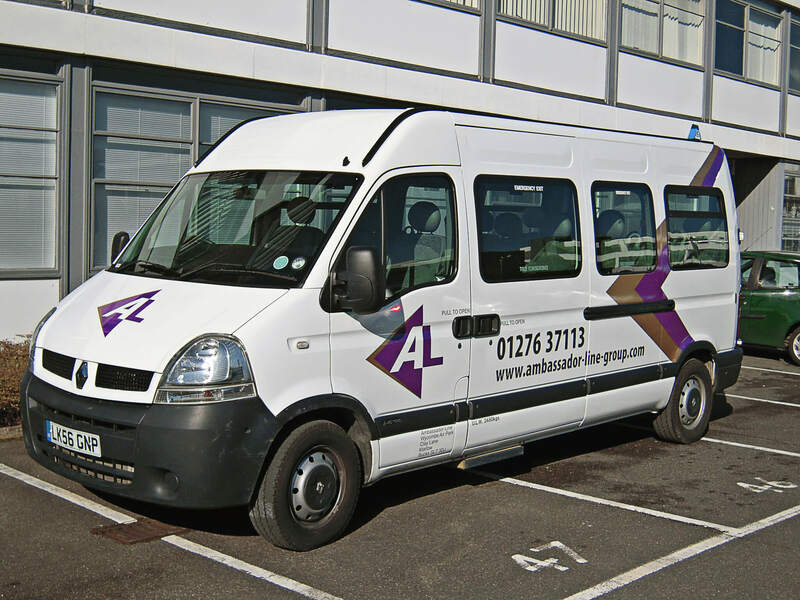 'Bus Back' is a digitally printed perforated mesh, looking solid from the outside but enabling your passengers to still enjoy the view. 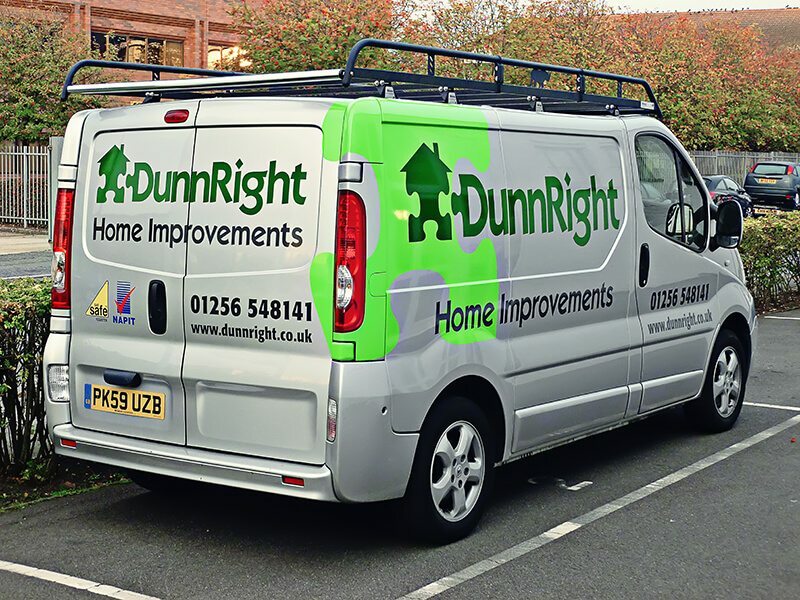 Full or partial chevrons to comply with Chapter 8 regulations. 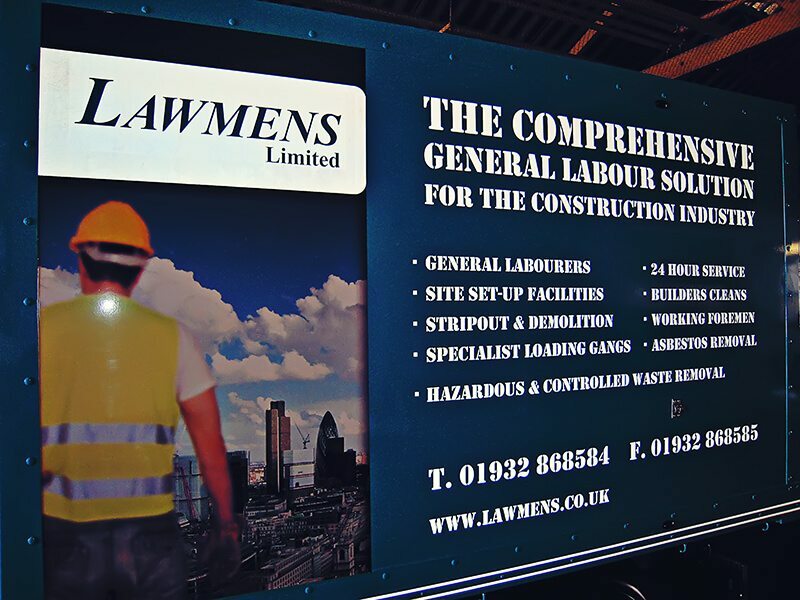 Give us a call on 01276 24494 or contact us here and we’ll happily give you some advice and a little more detail! 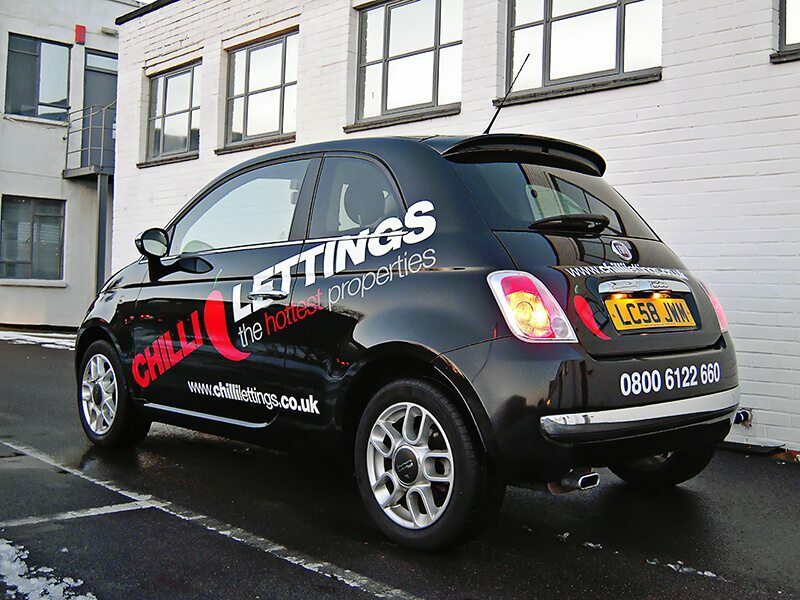 Car Signs, Camberley, Surrey. 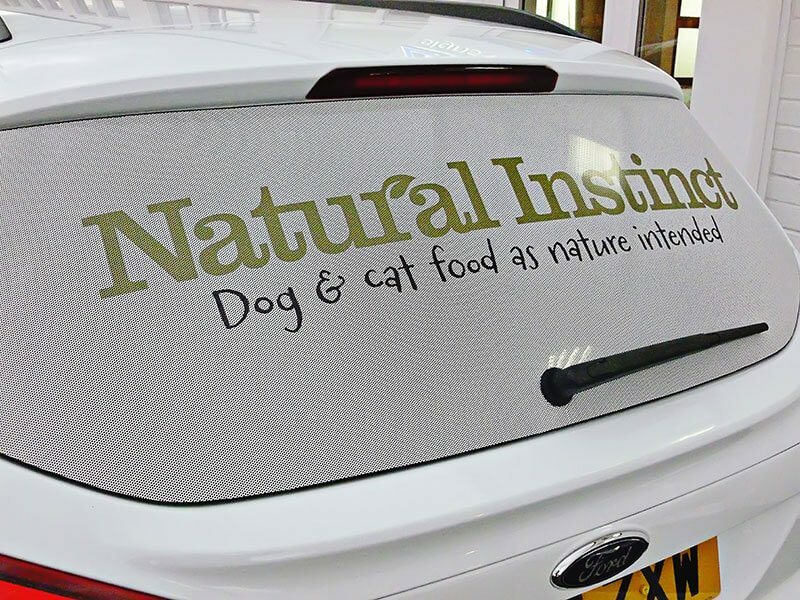 Perforated Vinyl was applied to the rear of this Mondeo estate car to extend the branding for Natural Instinct. 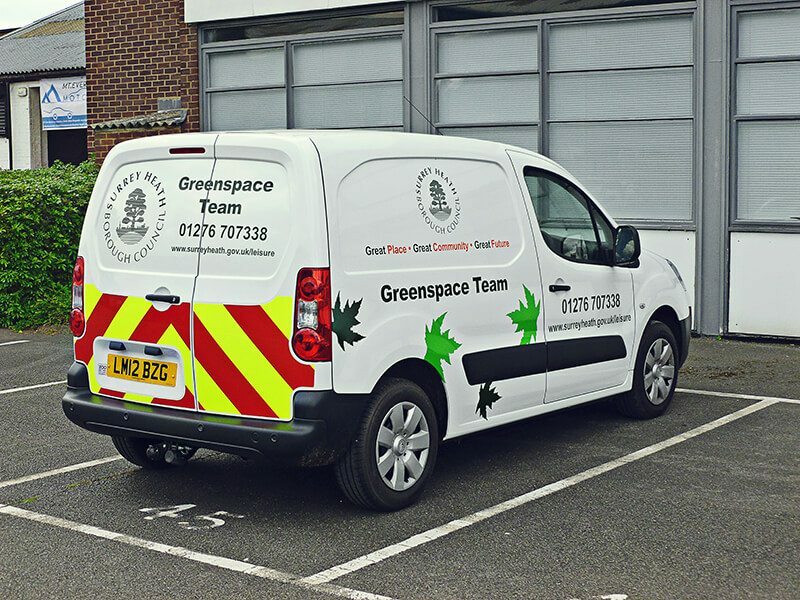 Van Graphics Godalming, Surrey. 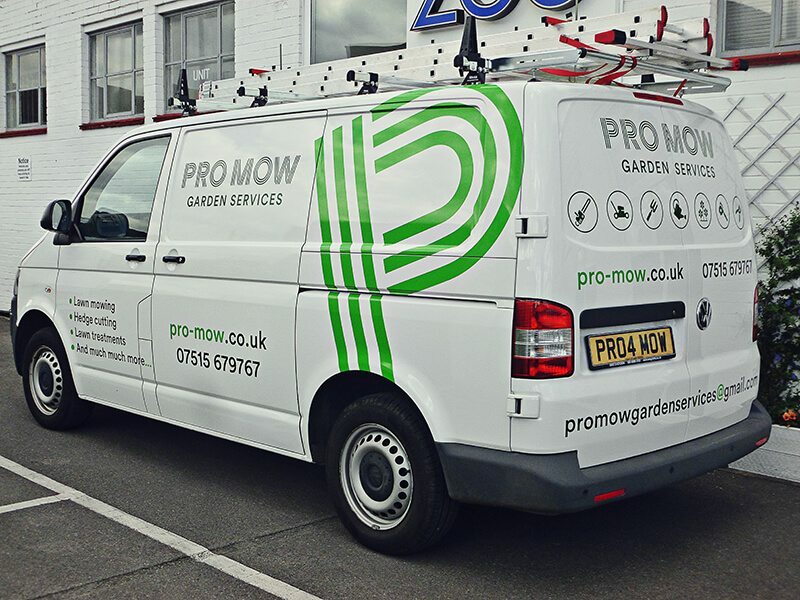 An eyecatching and stylish design which could be extended across a range of products. 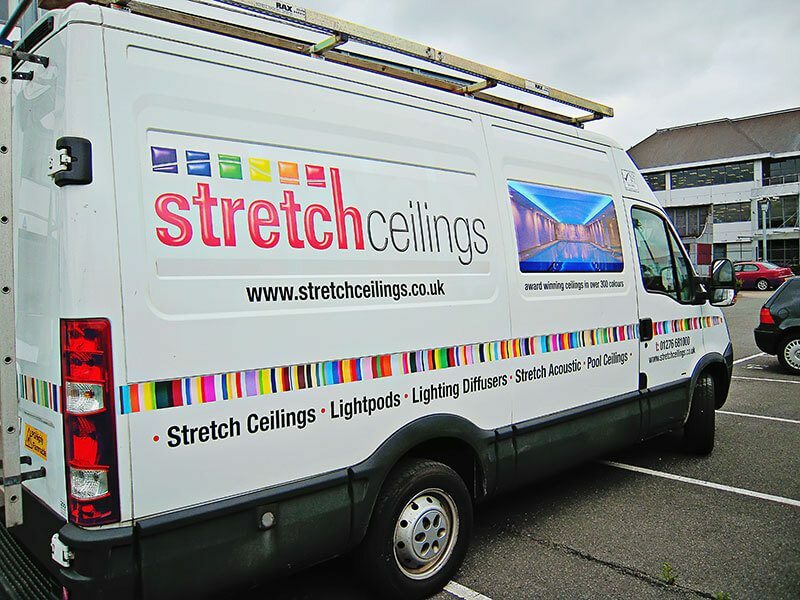 Van Graphics Camberley. 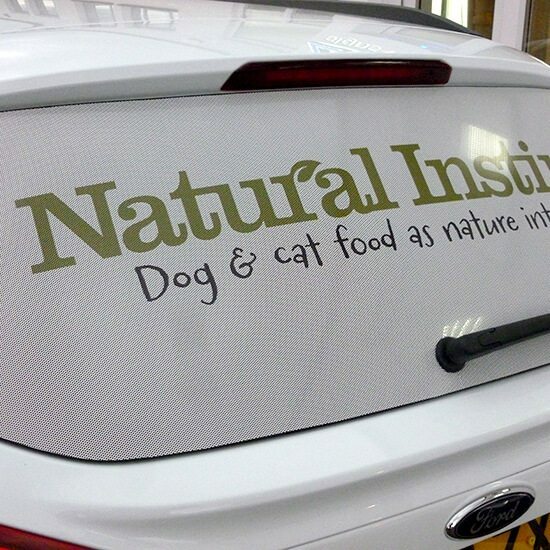 Here we have used a combination of profile cut vinyl and full colour digital print for a contemporary design. 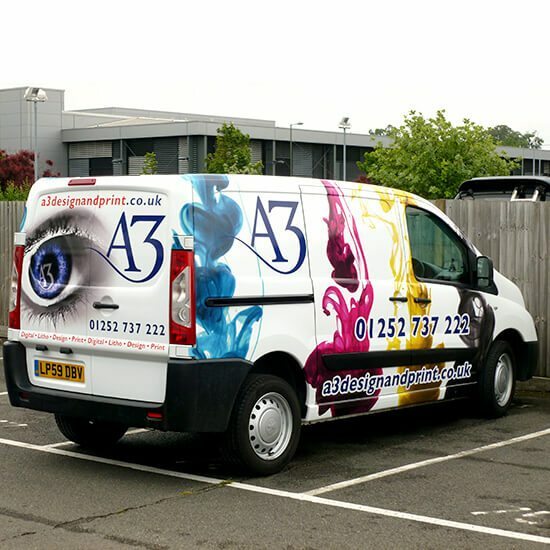 Truck Graphics Surrey. 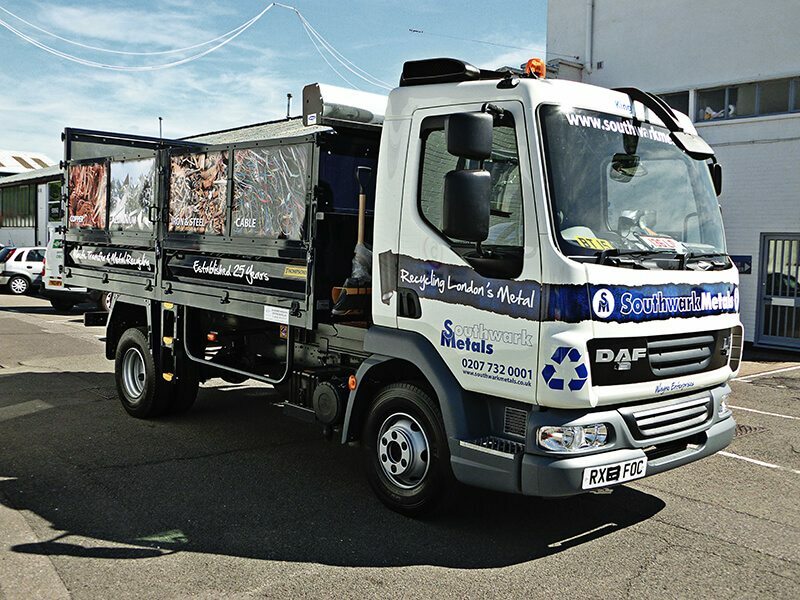 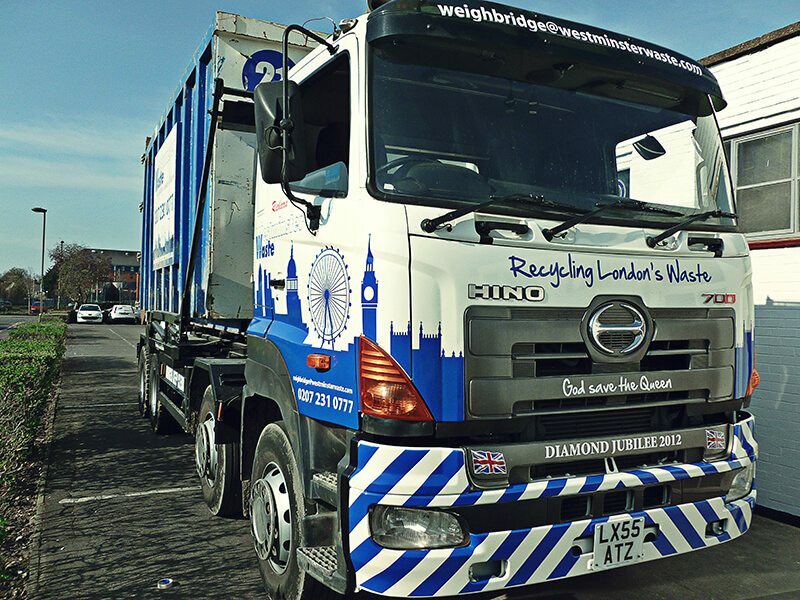 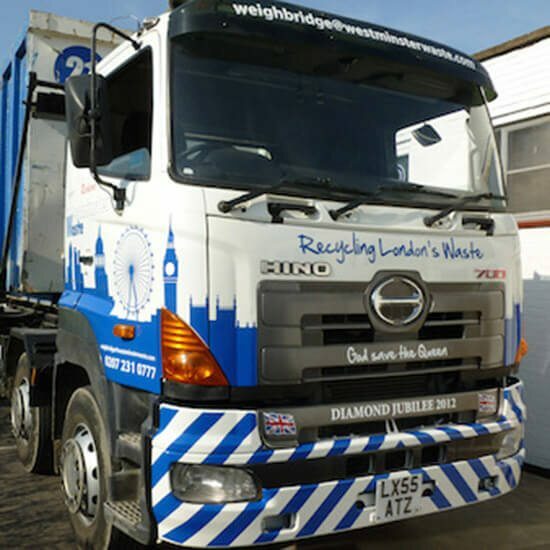 Fleet vehicle designed for Southwark Metals. 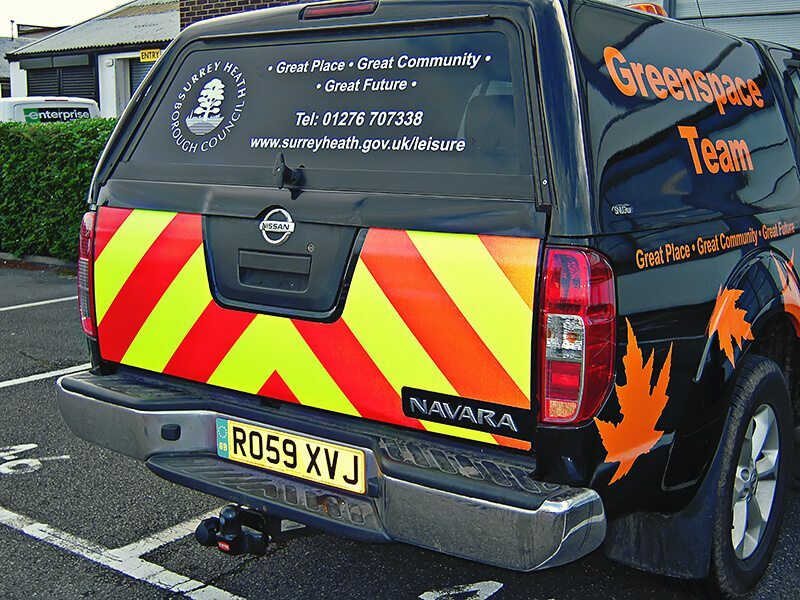 Profile cut digital print applied to cab and body, including additional safety compliance markings. 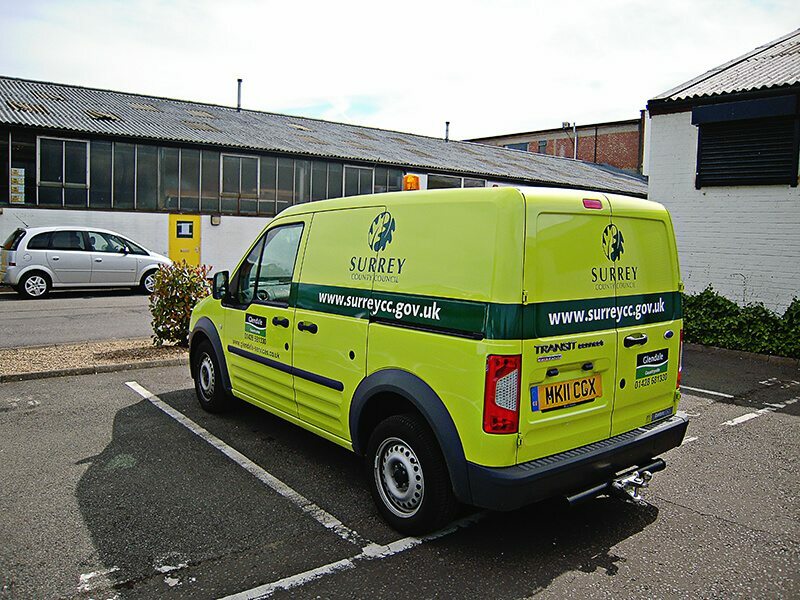 Van Chevrons, Surrey. 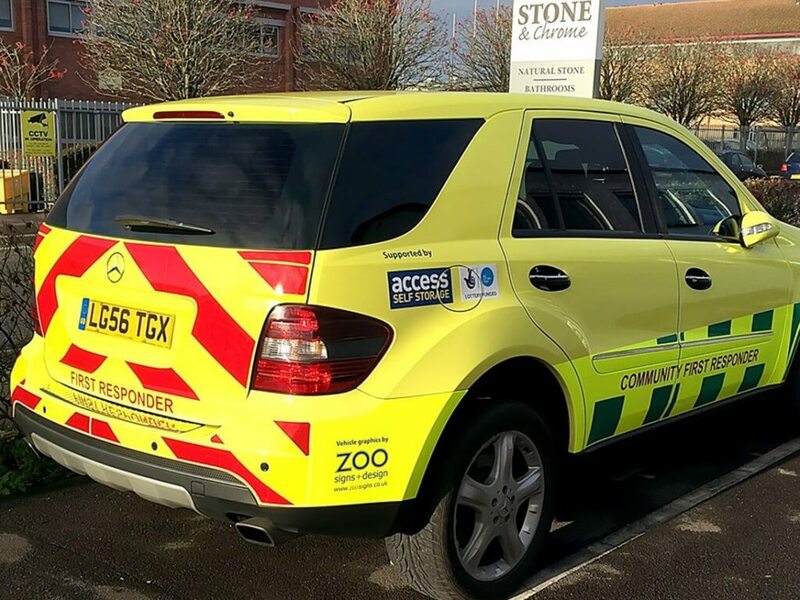 Reflective chevrons can be an important safety feature. 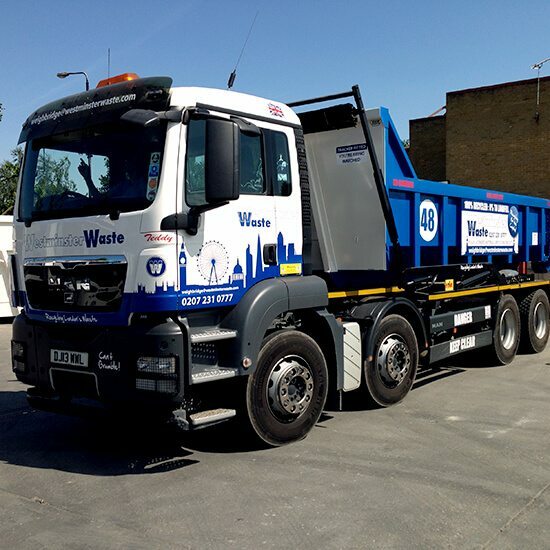 We can advise on the latest regulations for highway compliance. 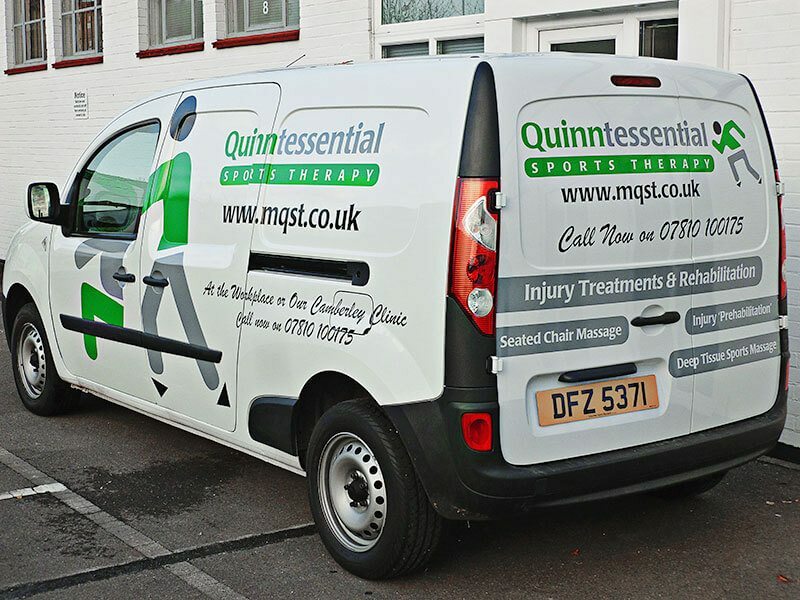 Vehicle Signs Camberley. 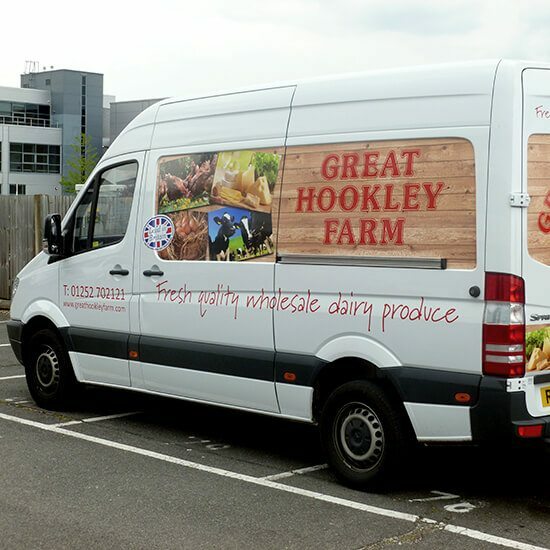 Perforated vinyl is a clever product which allows you to see out, but not in. 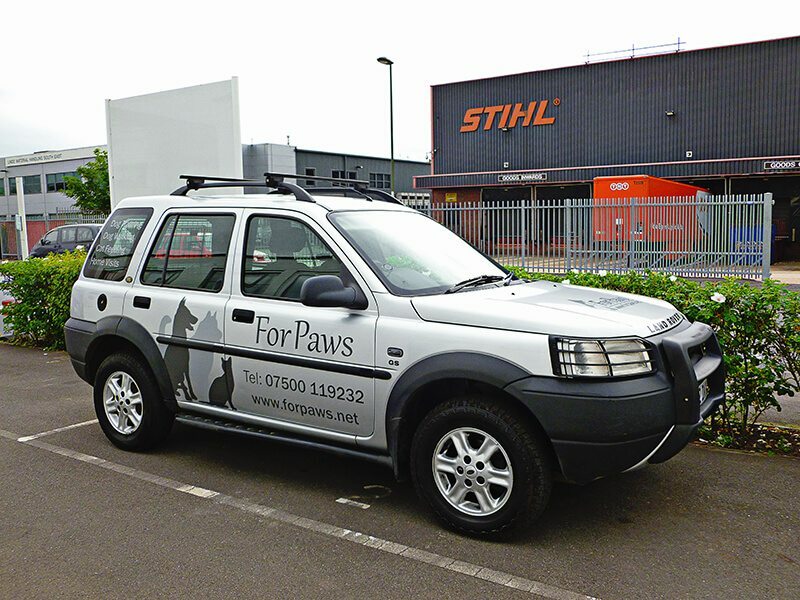 Car Signwriting Farnborough. 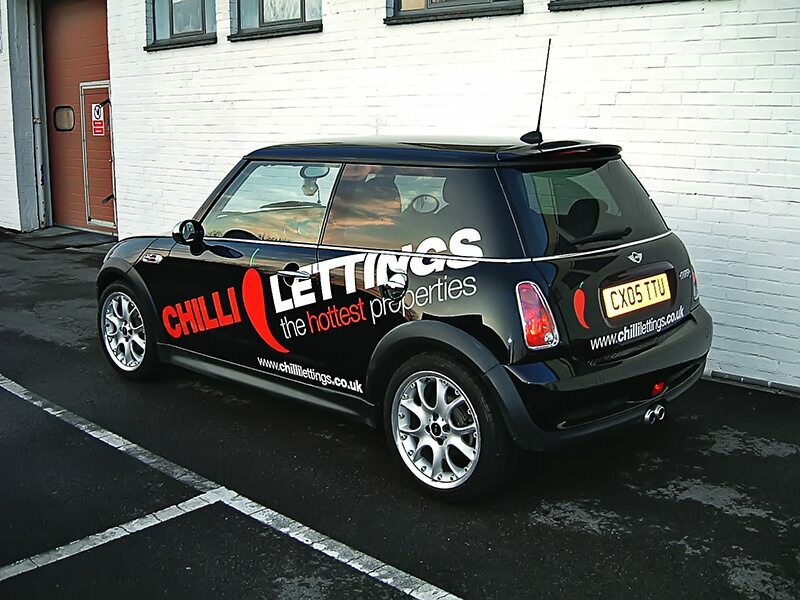 Cut vinyl graphics applied to one of the Chilli Lettings fleet. 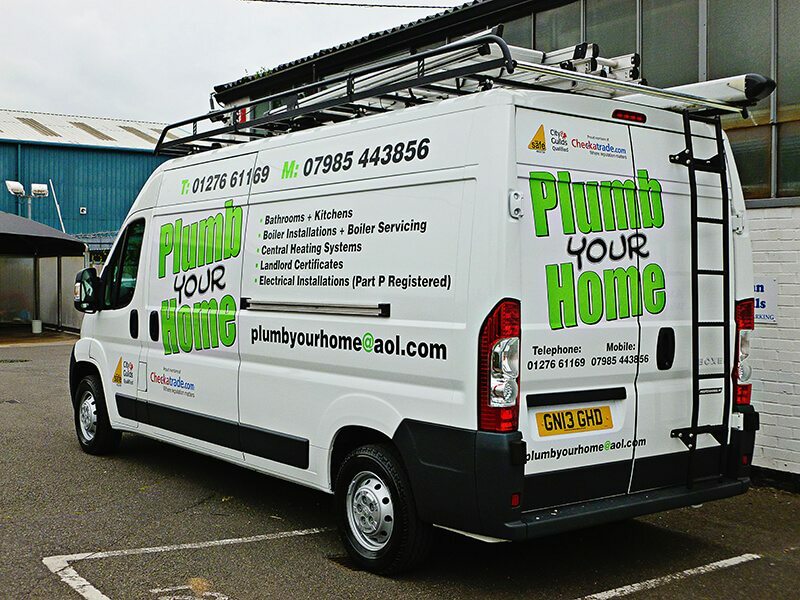 Van Signwriting Hampshire. 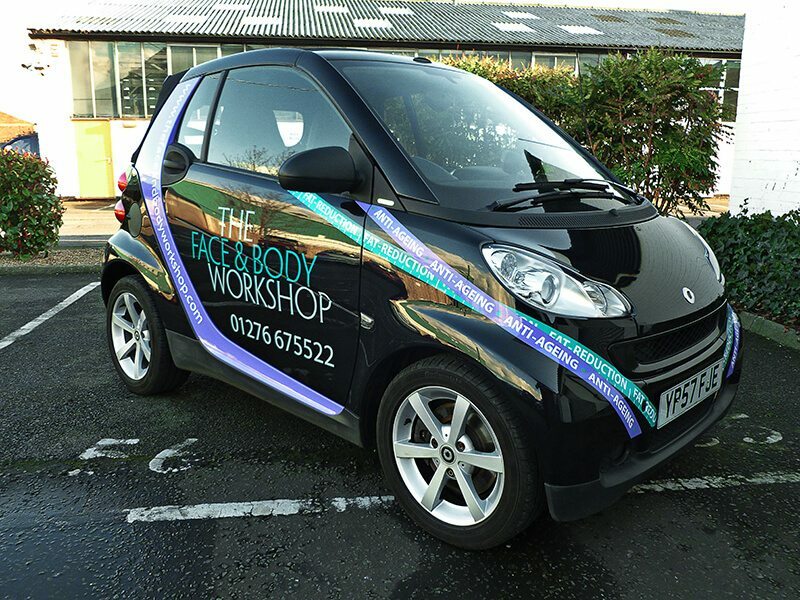 Cut vinyl graphics used to create an eye-catching design. 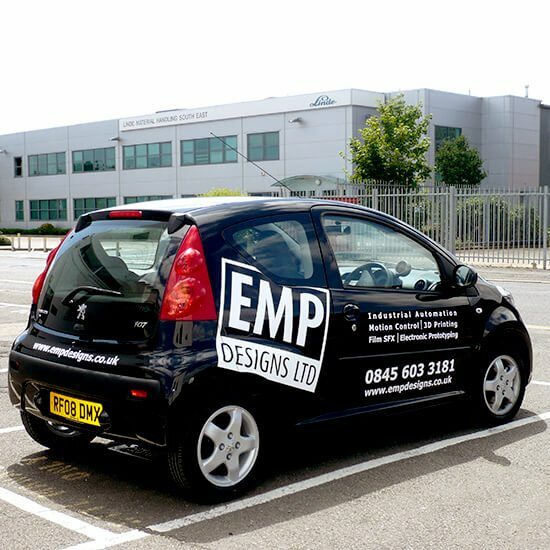 Car Signwriting Camberley. 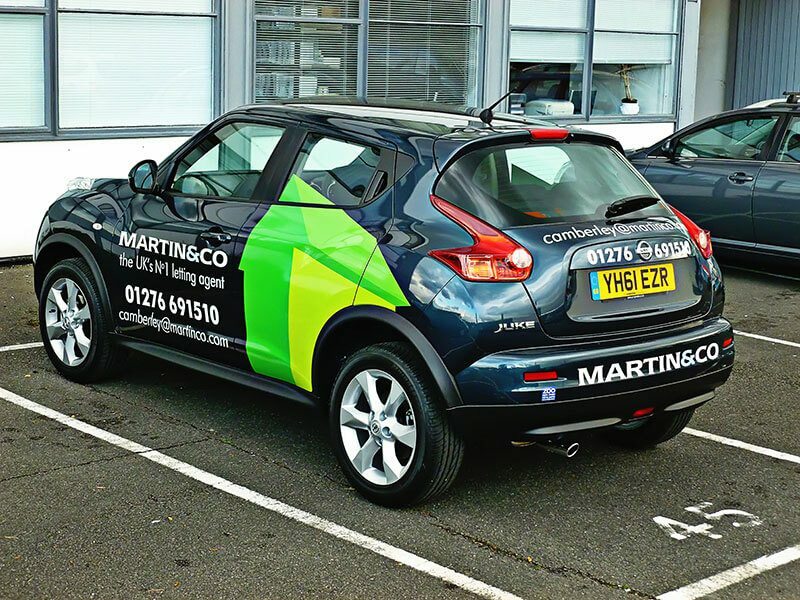 Profile cut vinyl graphics effectively colour matched to compliment the vehicle. 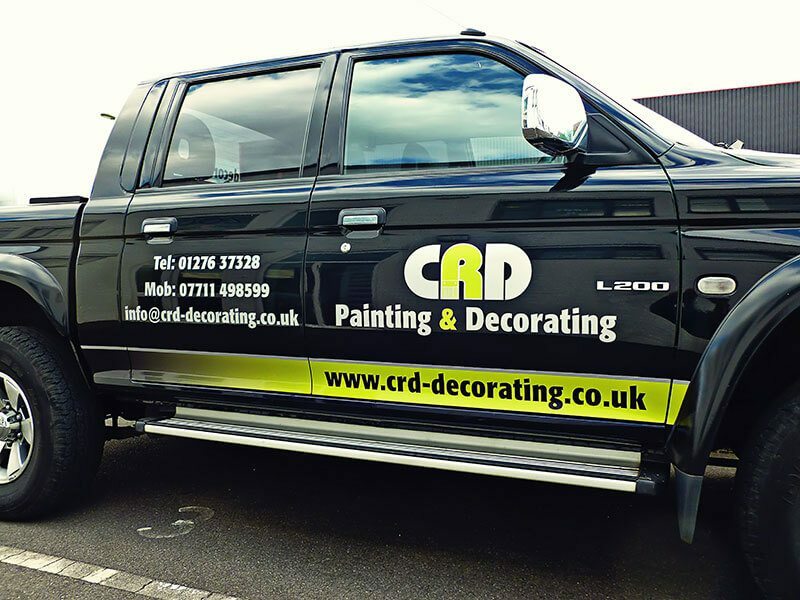 Car Signwriting Sandhurst, Berkshire. 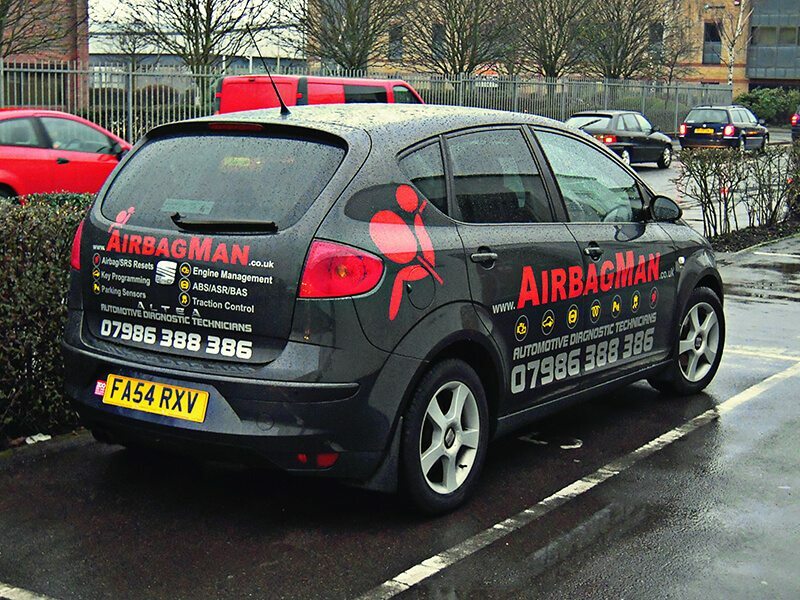 One of a rapidly growing fleet, this vehicle carries the distinctive 'AirbagMan' branding in profile cut vinyl. 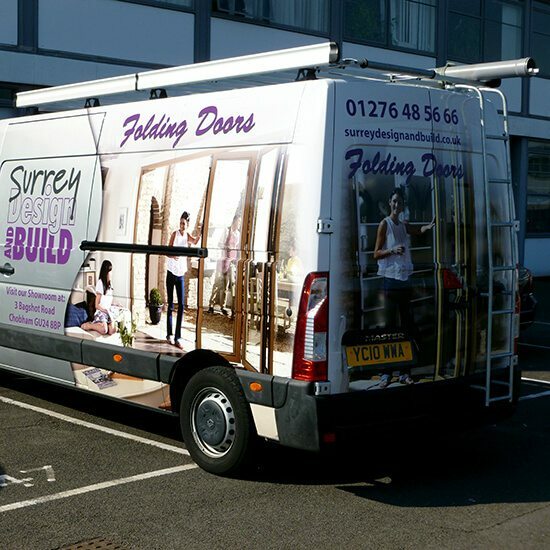 Bus Signwriting Camberley. 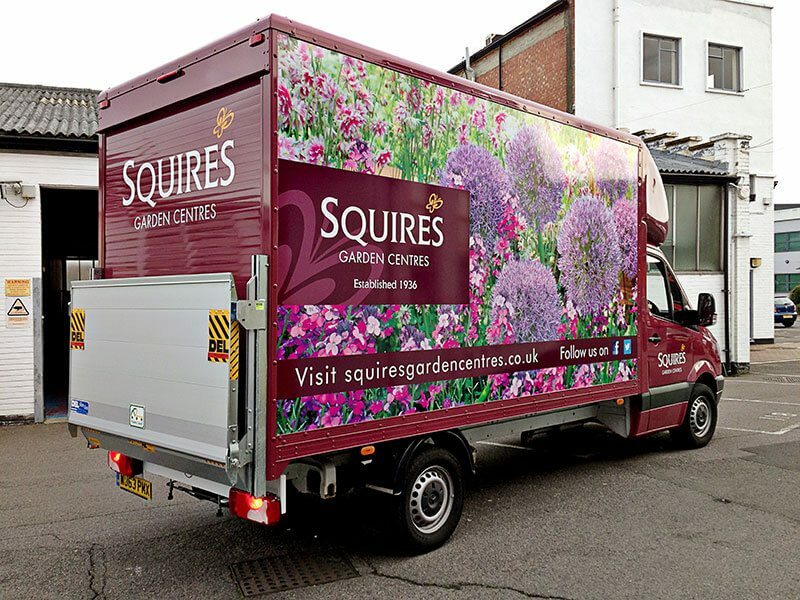 Another addition to the large 'Ambassador' fleet, this vehicle carries the purple and gold vinyl graphics with reflective details. 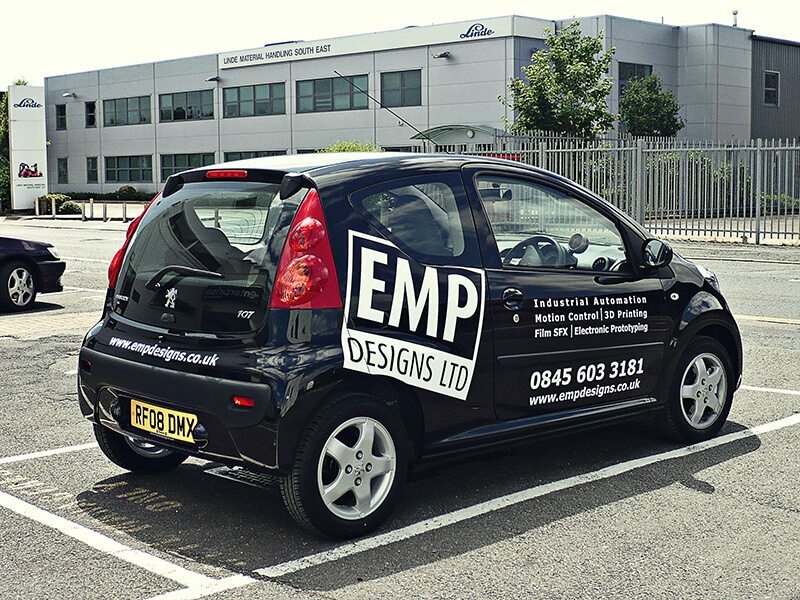 Car Signwriting Farnborough. 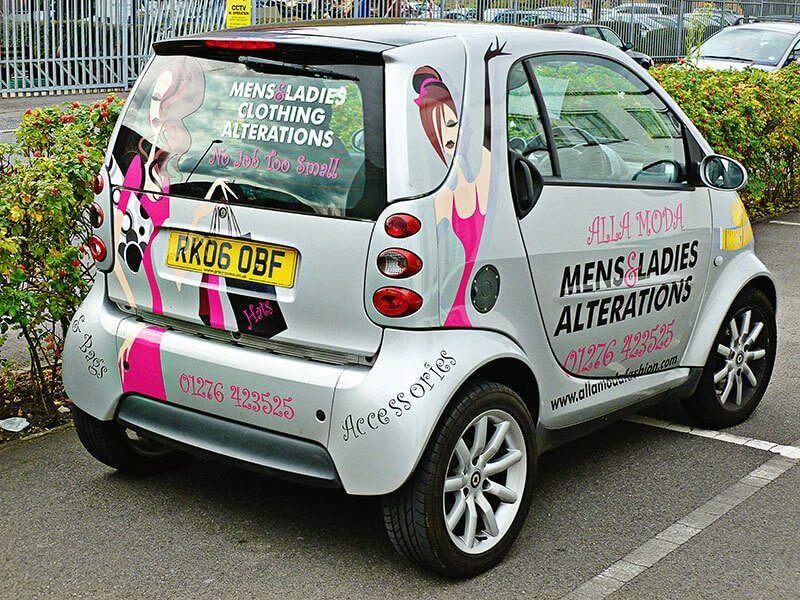 On this funky mini we have added a touch of 'Spice' with punchy cut vinyl graphics. 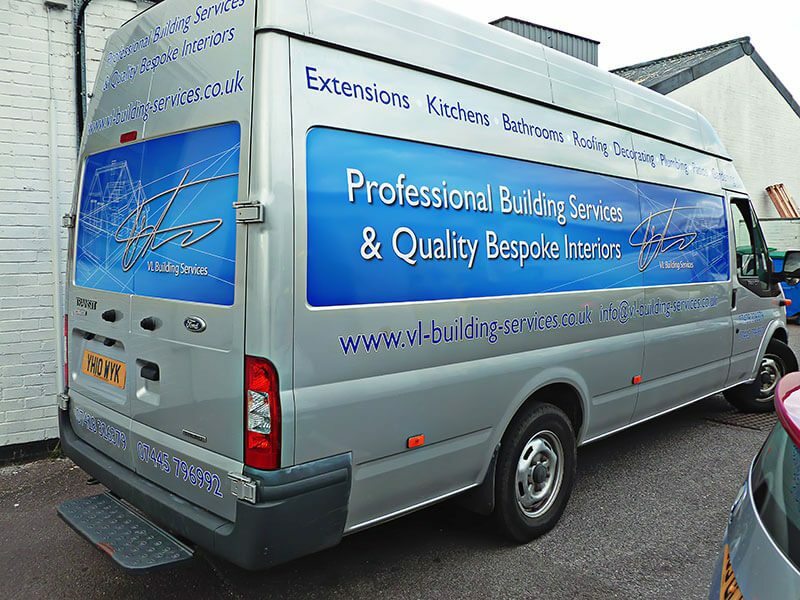 Van Signwriting Surrey. 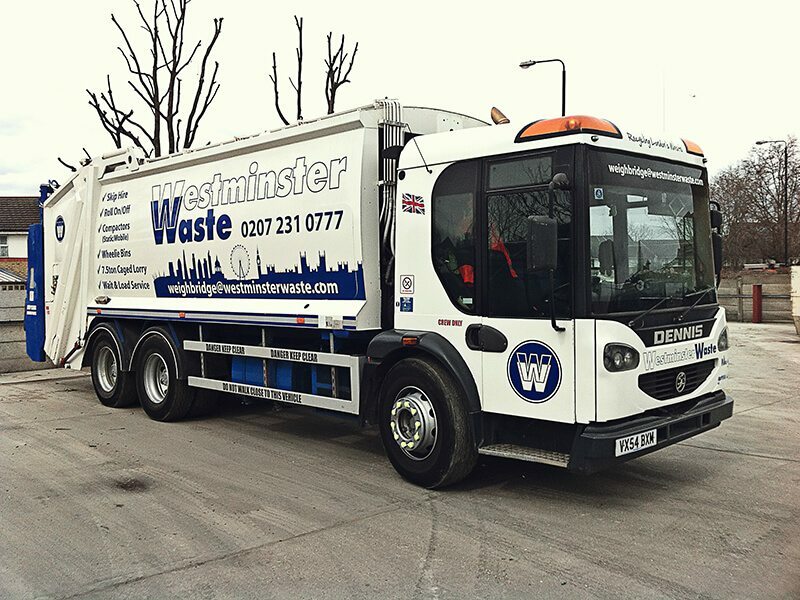 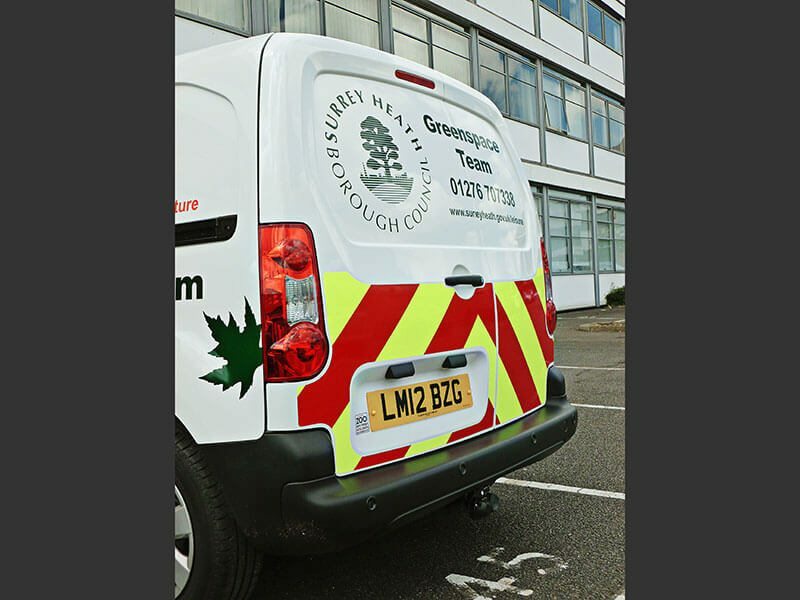 This is one of a number of vehicles which we have produced for Surrey Heath Borough Council. 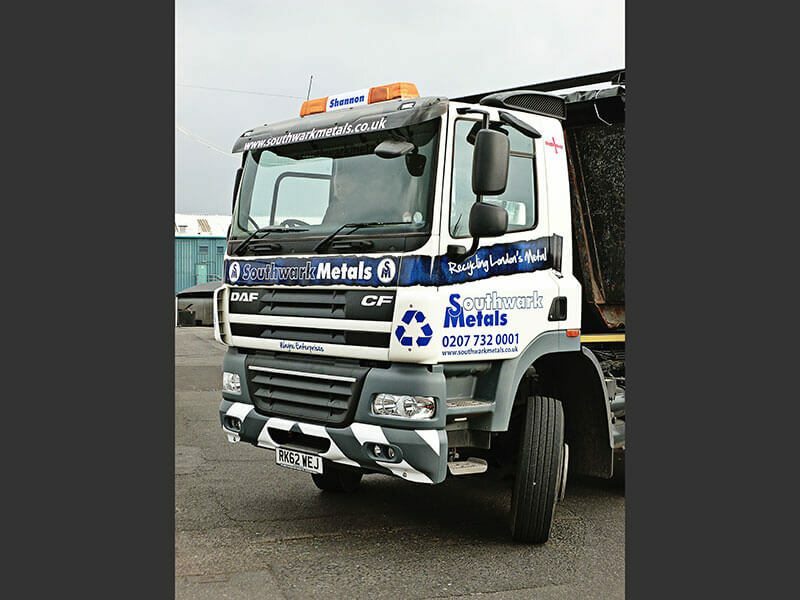 In addition to the strong branding we have incorporated reflective chevrons as an important safety feature. 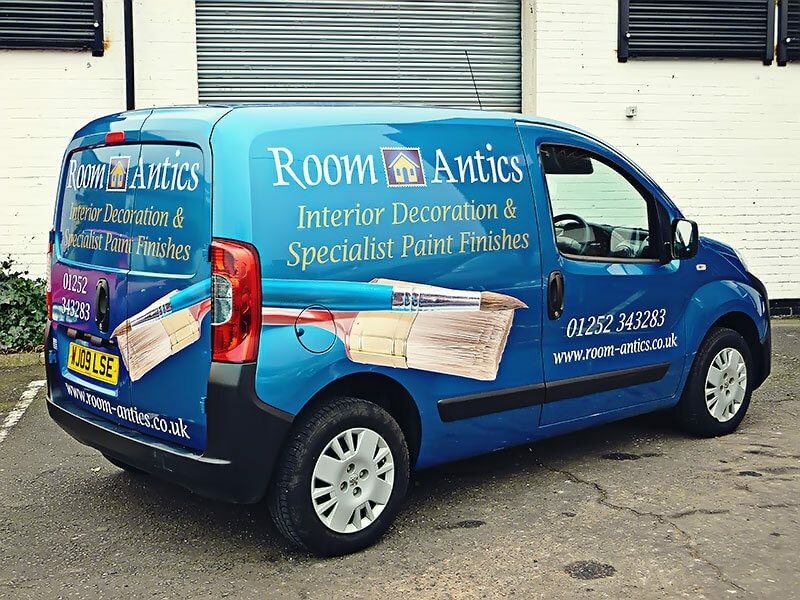 Car Signwriting Sandhurst, Berkshire. 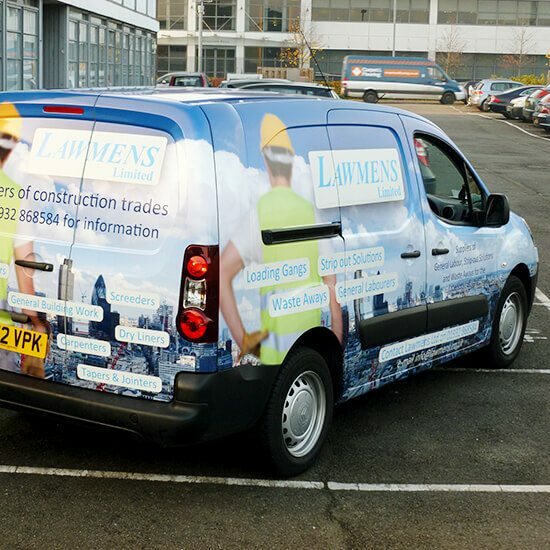 Fleet vehicle with applied vinyl graphics. 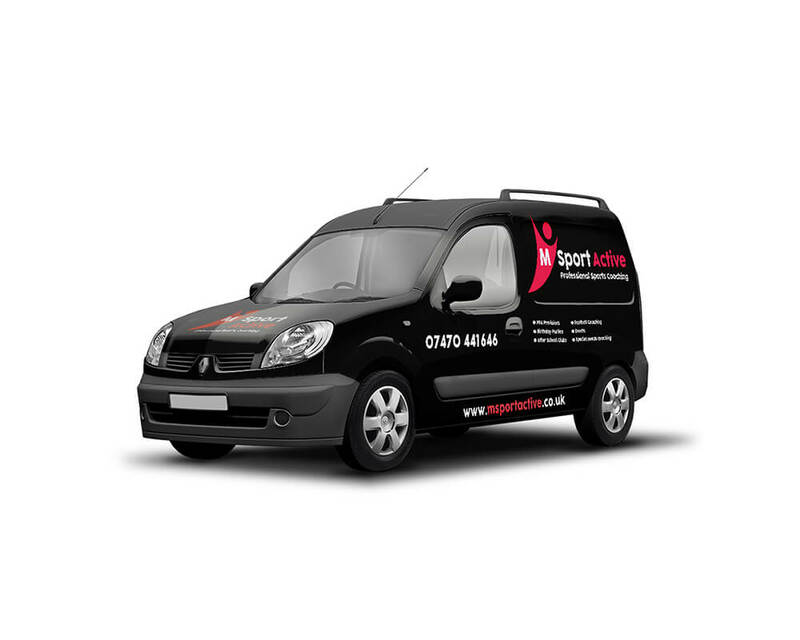 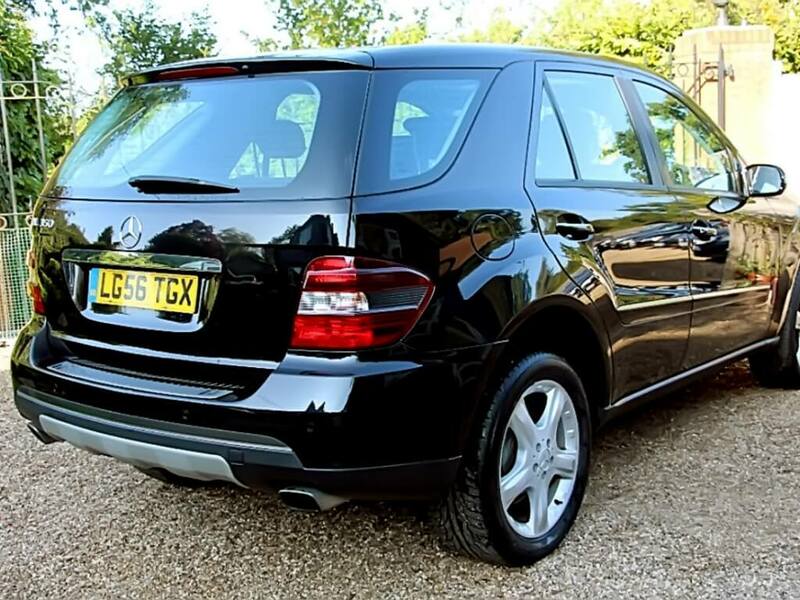 We have adapted this very recognisable design to work across a range of vehicles. 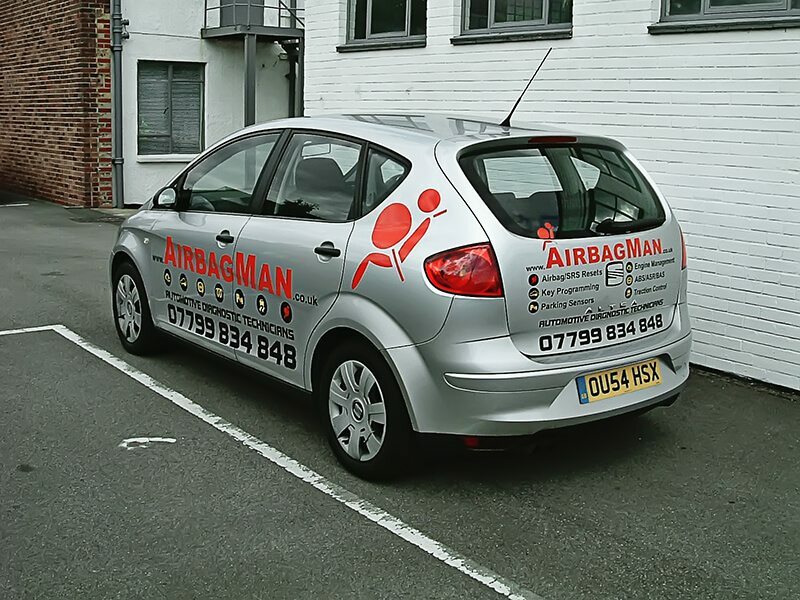 Car Signwriting Frimley. 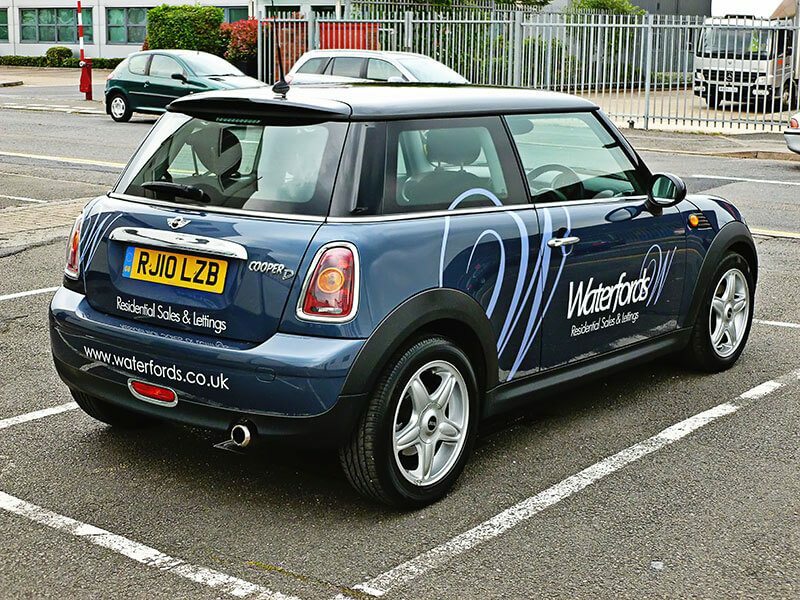 Even the smallest vehicles can serve as an effective marketing tool. 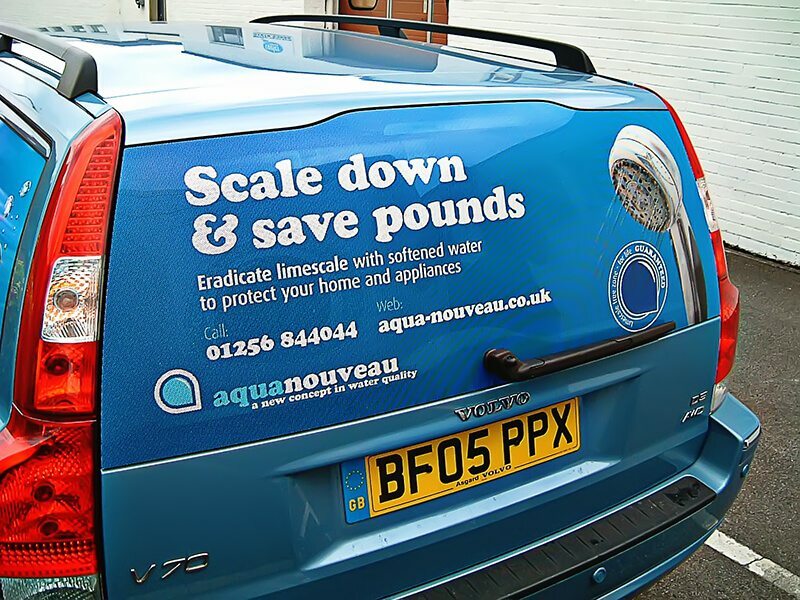 A simple cut vinyl design which has been adapted to work on a variety of vehicle shapes and colours. 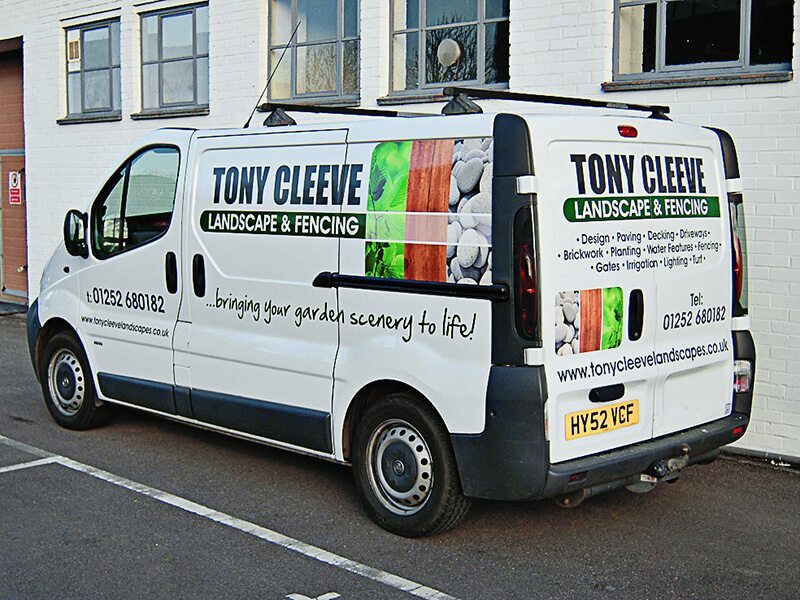 Van Signwriting Surrey, Berkshire, Hampshire. 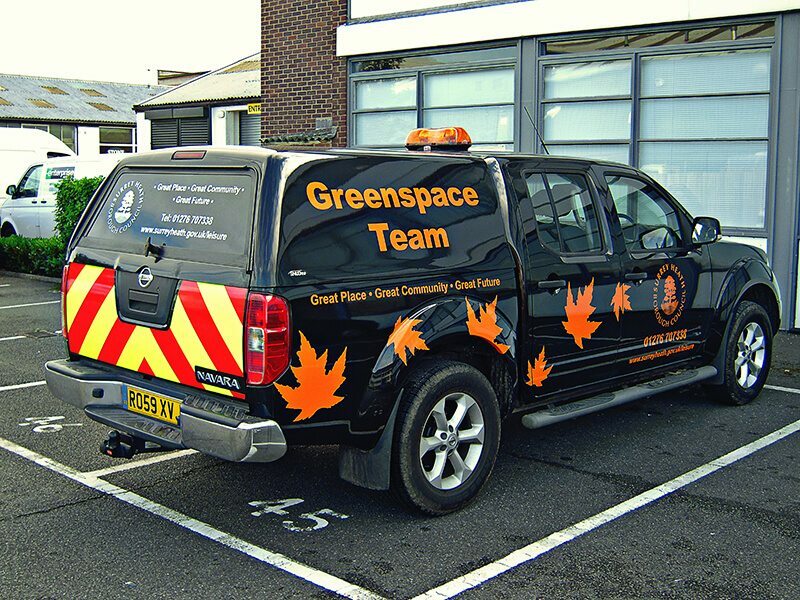 Vinyl cut graphics lent themselves well to create this 'leaf' design for Surrey Heath Borough Council. 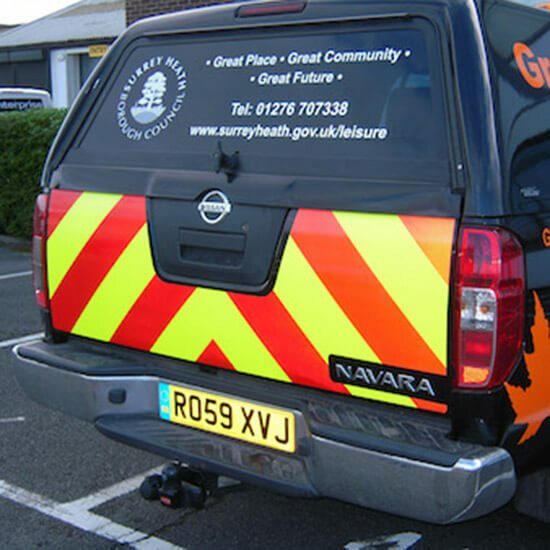 Reflective chevrons were applied to achieve Chapter 8 compliance. 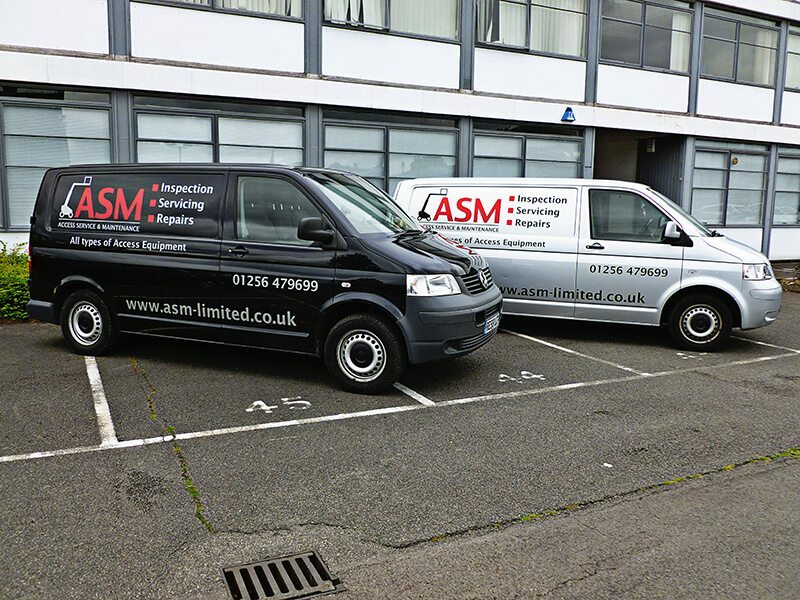 Van Signwriting Camberley. 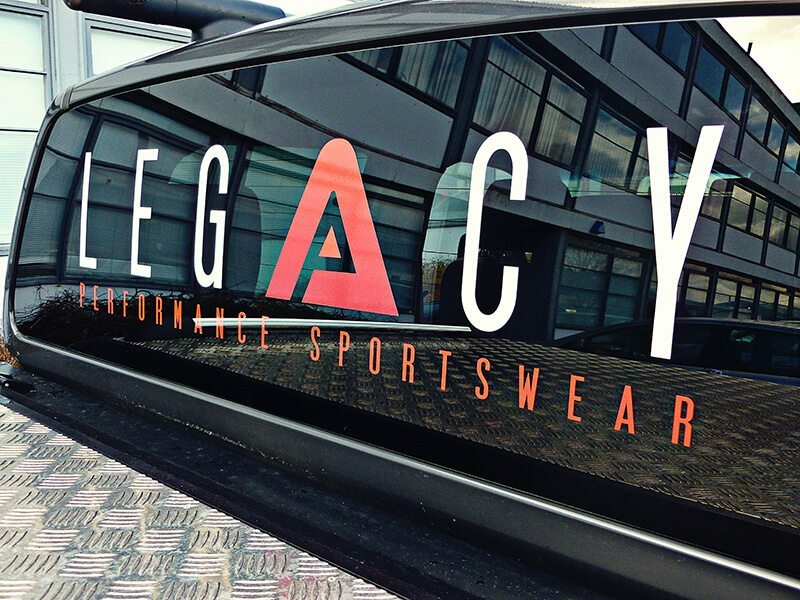 Oversized vinyl cut graphics create impact. 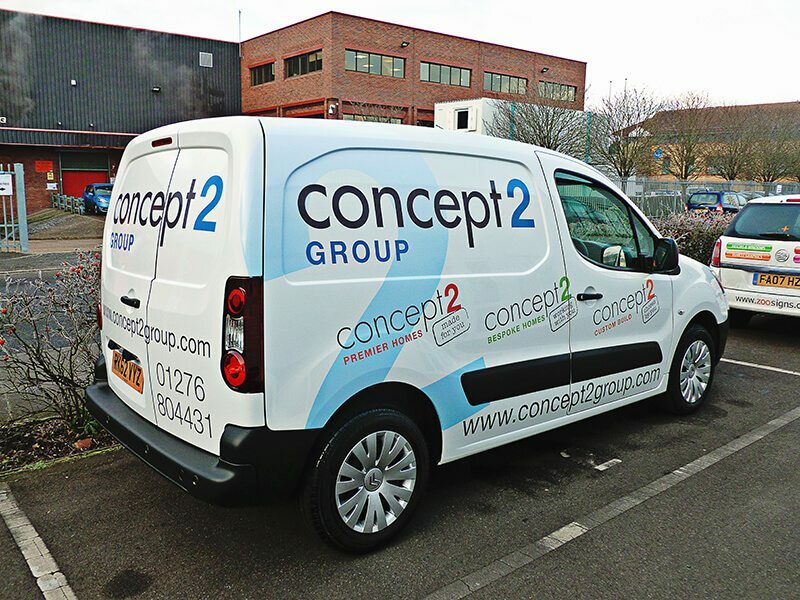 Solid colour vinyl cut graphics. 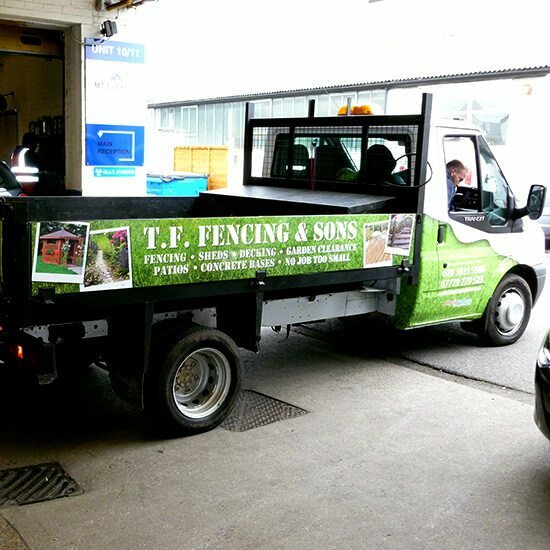 Truck Signwriting Surrey, Hampshire, Berkshire. 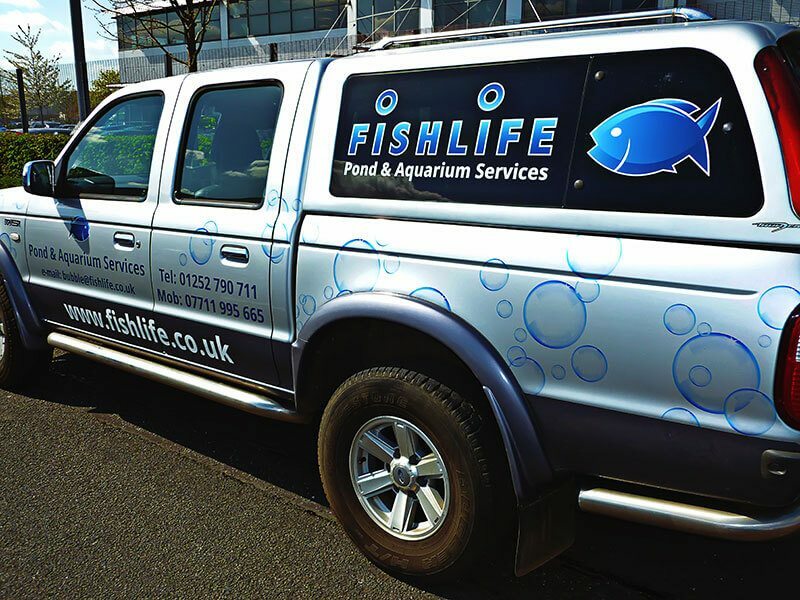 Fleet Truck Graphics, profile cut vinyl applied graphics.